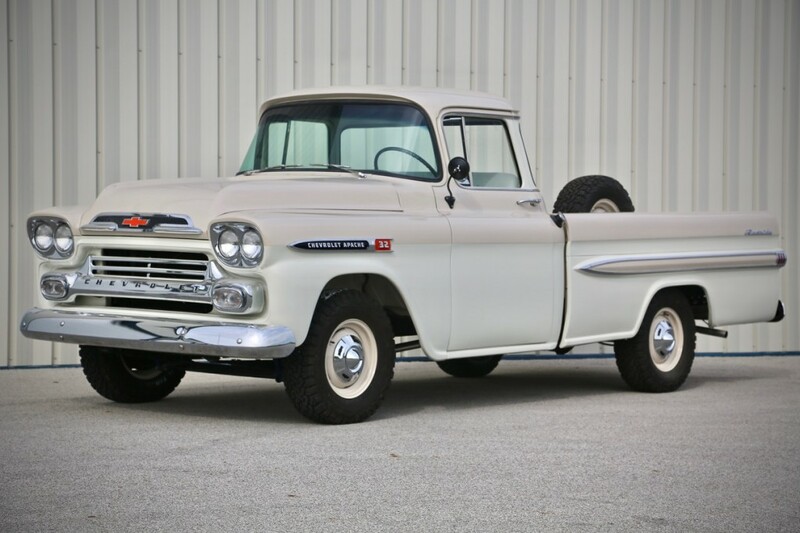 The Chevrolet Task Force Series of trucks started in 1955 and 1958 was the first year for the fleetside bed. 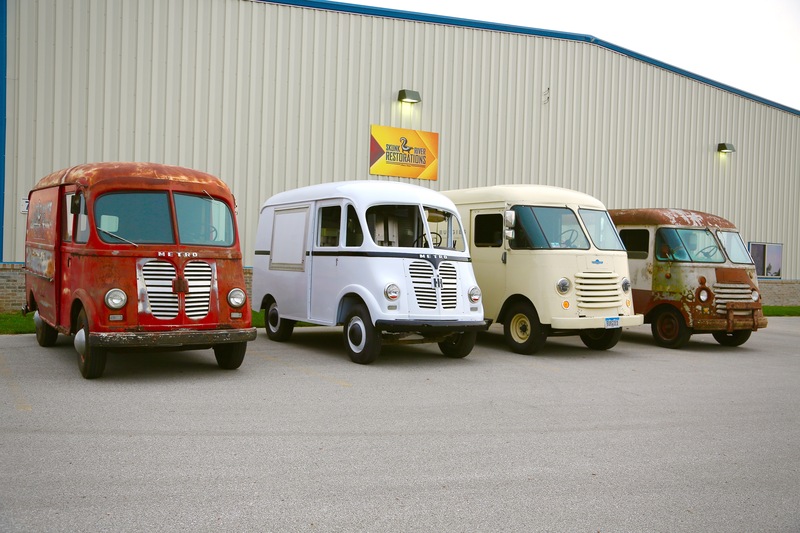 All light-duty trucks were now called “Apache”, medium-duty trucks called “Viking”, and heavy-duty trucks called “Spartan”. 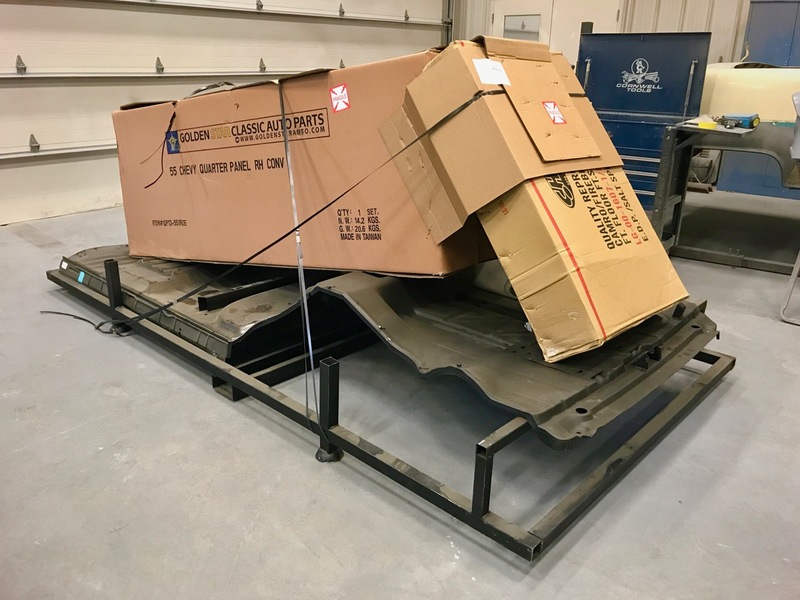 Ever wonder how an entire new floor for a 1955 Chevrolet is shipped? This is the largest sheetmetal shipment we have ever received and the packaging is great! 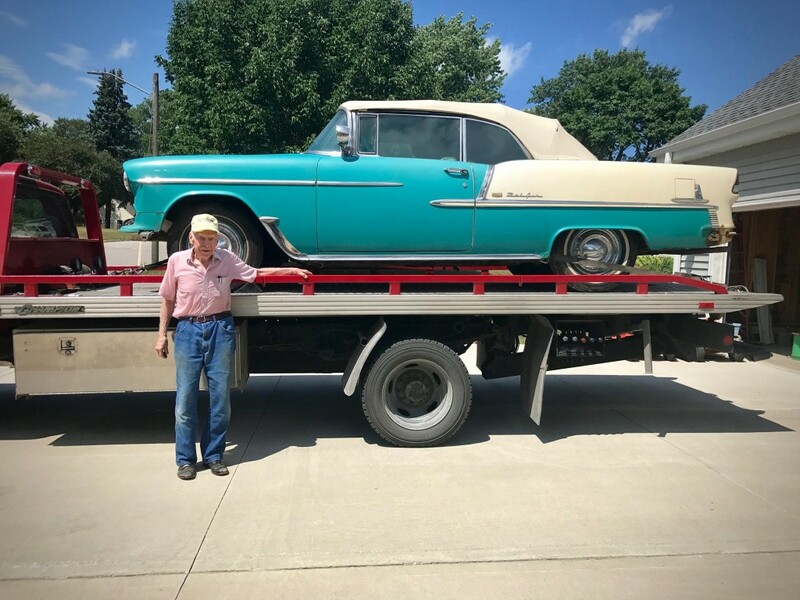 After 62 years of ownership this 83 year old will finally be seeing his dream of this 1955 Chevrolet Bel Air Convertible being restored back to it’s original condition. Now powered by a 572 Chevrolet crate motor the Chevelle has been tuned on the dyno. 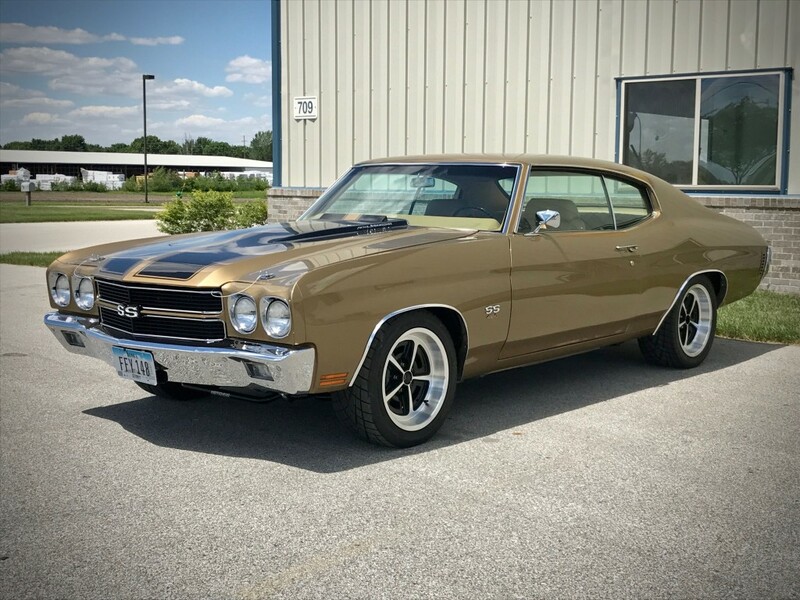 The color is the original Autumn Gold Metallic used on the 1970 Chevelles. 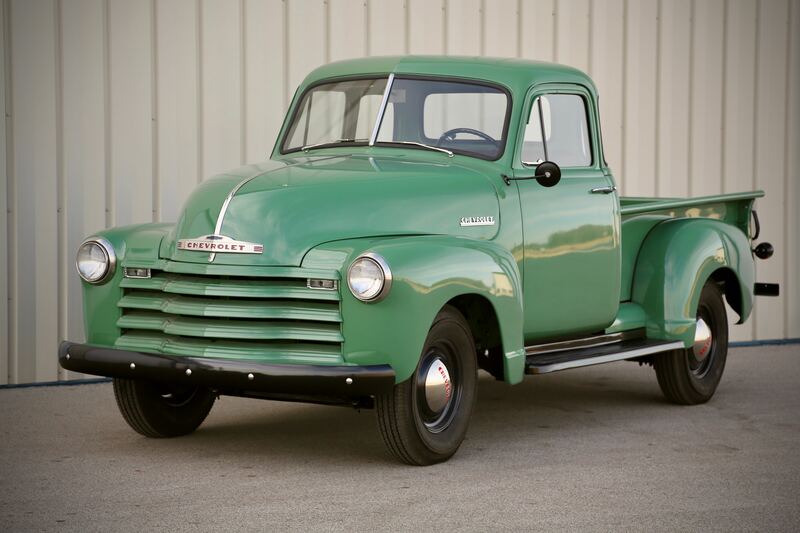 Now again wearing it’s original color of Spring Green this Chevrolet looks right out of the 50’s. Although this truck was restored some period modifications made on the farm of the owners family have been left in place which show that this really is “Grandpa’s” truck. With only a final sanding left on the five window truck cab the color will be put on this week. 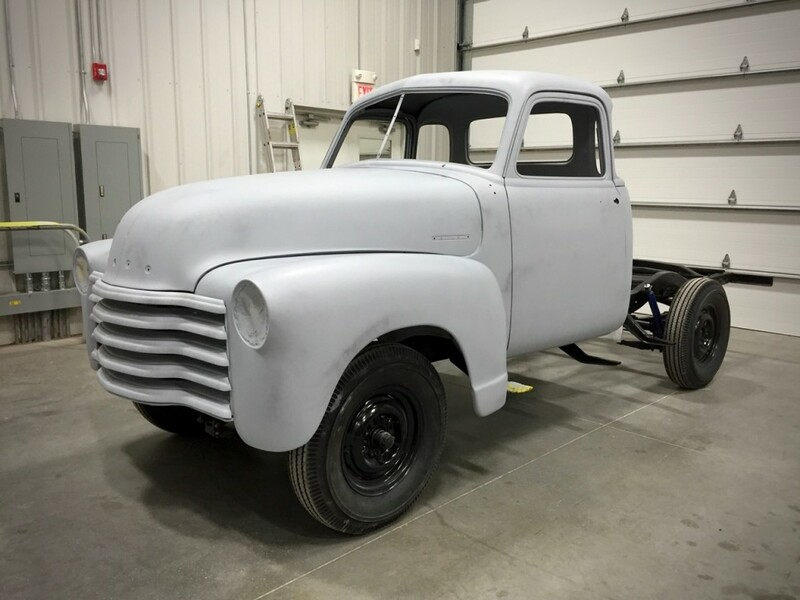 They style of these Chevrolet Advance Design trucks, which ran from 1947 through 1955, are among the most popular for Chevy enthusiasts and it is great to see another one saved. 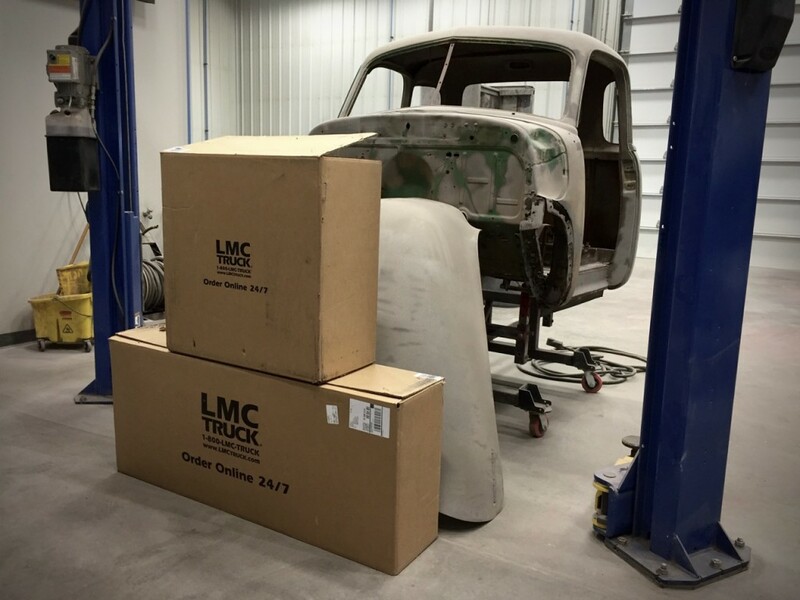 Thanks to LMC Truck for sending us these big beautiful boxes of panels to fix the 1952 Chevrolet truck project. 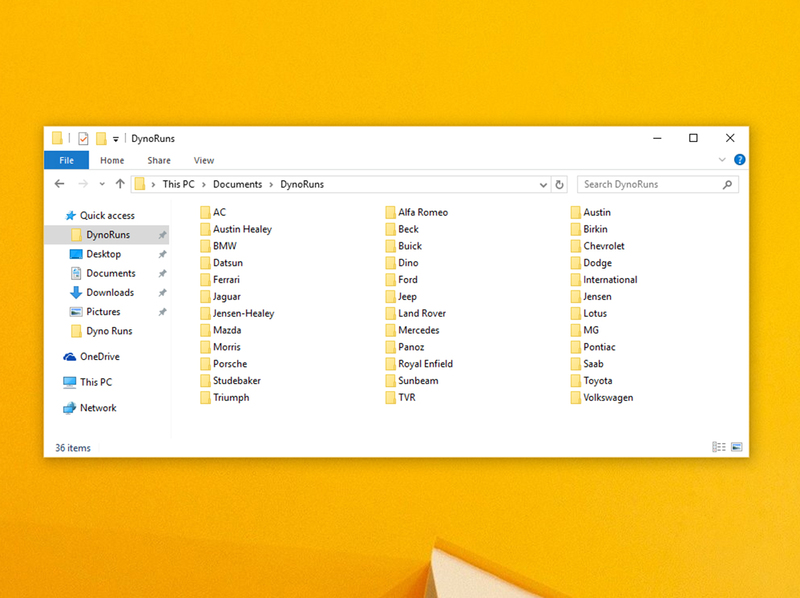 After unpacking it looks like the panels fit as well as if they were made by the factory. 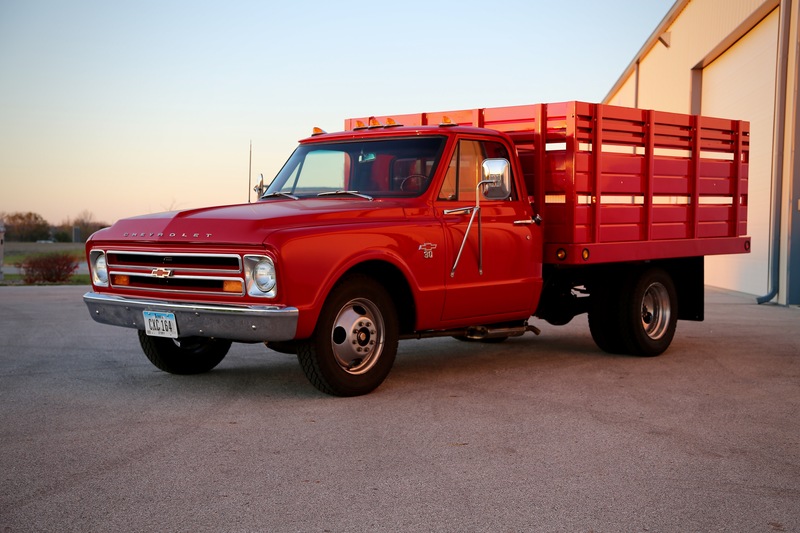 Trucks like this C30 with grain bed used to a common sight in Iowa. Most were completely used up and very few would ever be restored to this level. 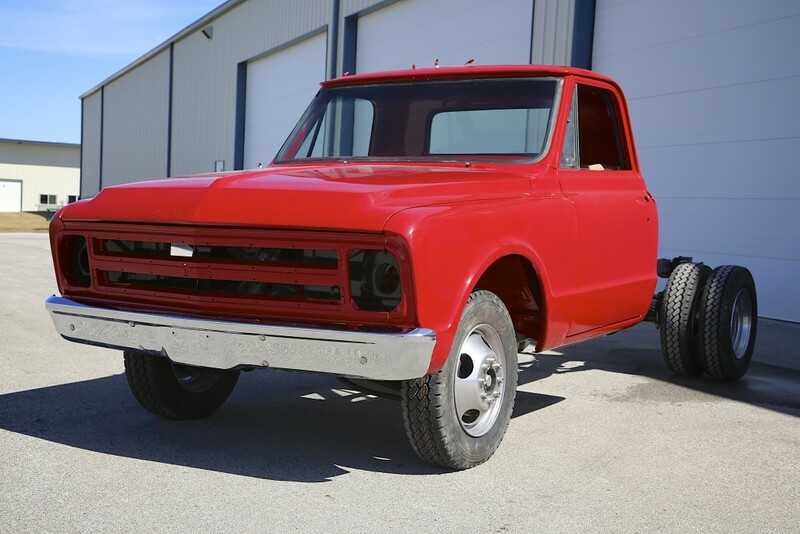 Another forgotten sight is back on the road with this low mileage example farm truck. It was just one of those days we had vans running around all over. 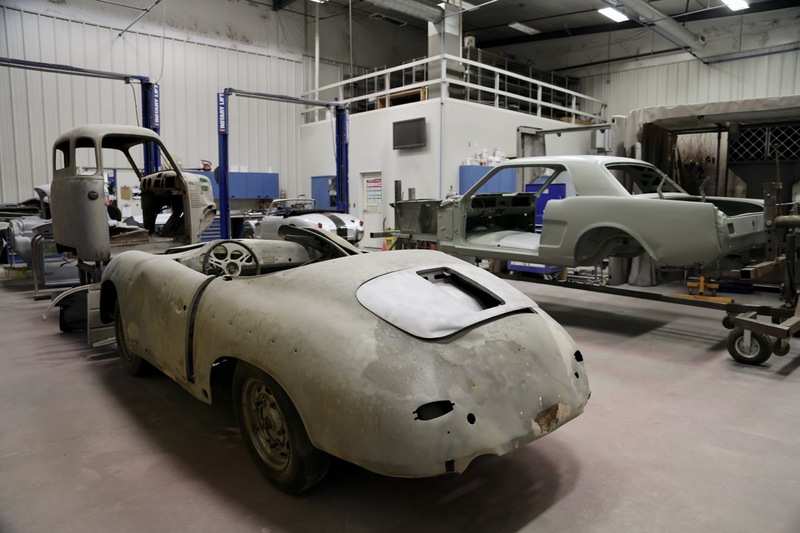 All four of these beauties run and drive and it is a lot of fun to see this many of them together now sixty years after they were built! The new suspension and brakes are fitted and adjusted. Now with disc brakes and a power brake booster this car is safer on the street and has the power to stop all of this iron and glass. 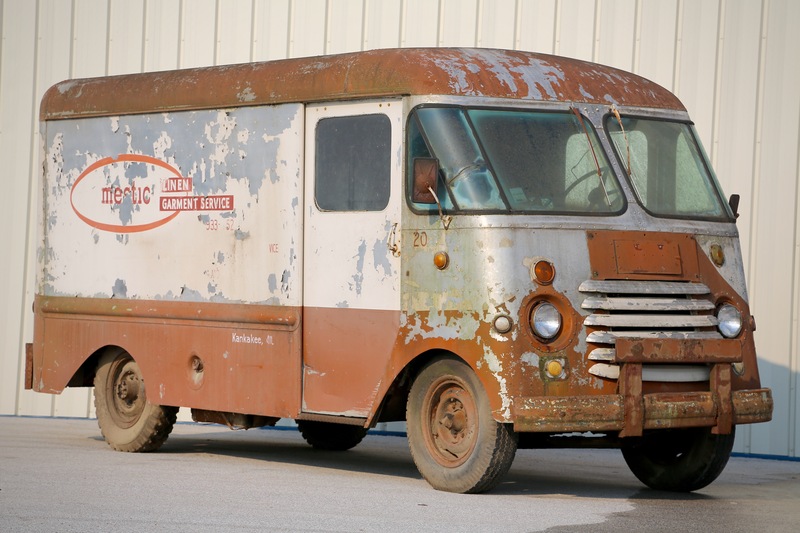 This Chevrolet chassis 1955 Grumman Olson step van arrived last night and is not allocated to a project. This van would make a great shop truck, food truck, or merch wagon for your business and if you are interested in building a unique marketing vehicle for your company send us a message. The Grumman Olson is made of aluminum so there are never the rust issues you will see with other vans and have a much larger interior and more head room making it a better usable space for those wanting to pack in a lot of equipment. 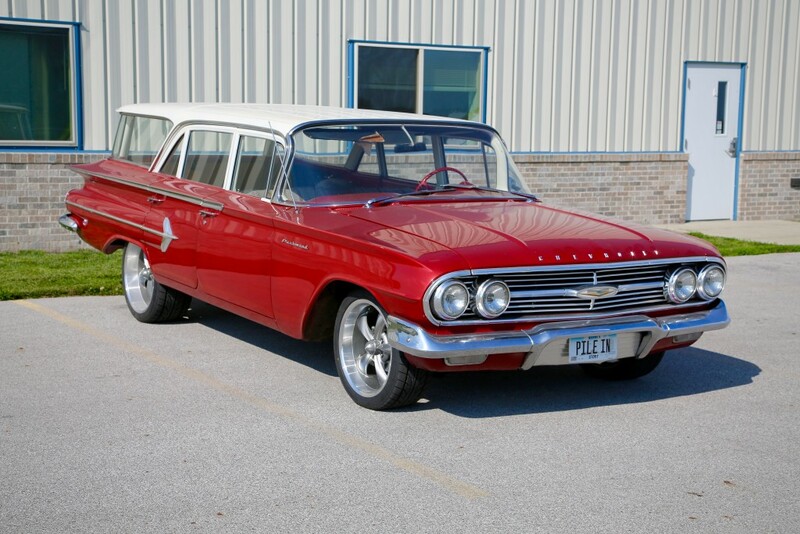 The Chevrolet Covair engine is air-cooled and used a flat design, with aluminum heads and crankcase, with individual iron cylinder barrels. 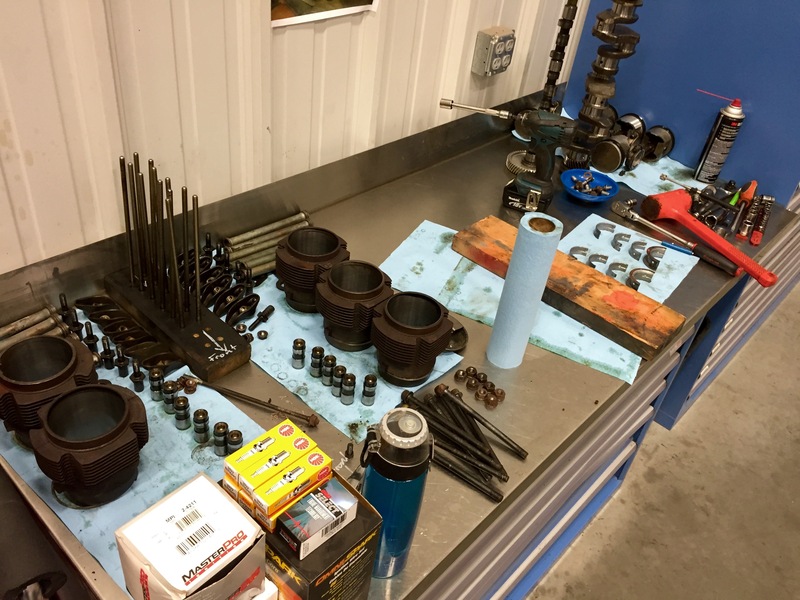 With the frame and suspension, drivetrain and body for this one ton truck restored just a few trim and electrical bits need installed and this truck can be put back in service around the farm. Another one back on the road. 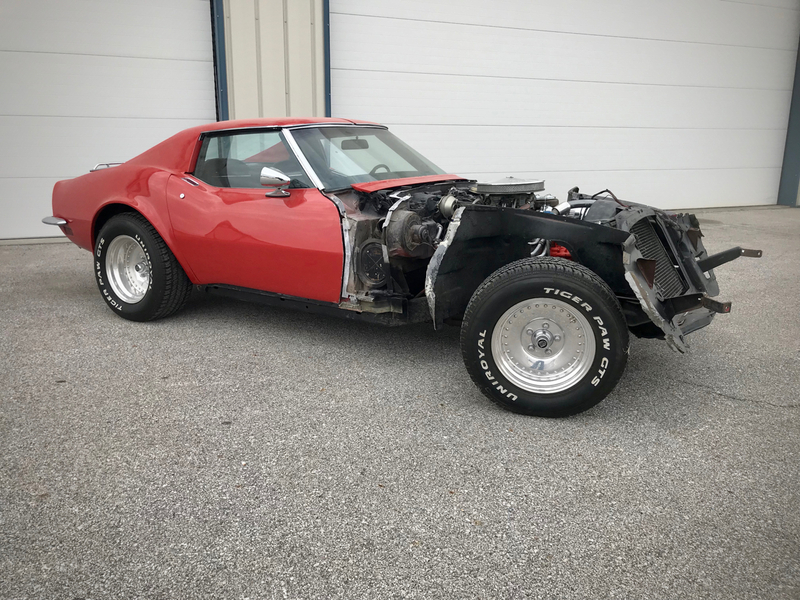 Although not as bad as most cars we see come through here this one needed some TLC to make it run and safe to drive again. 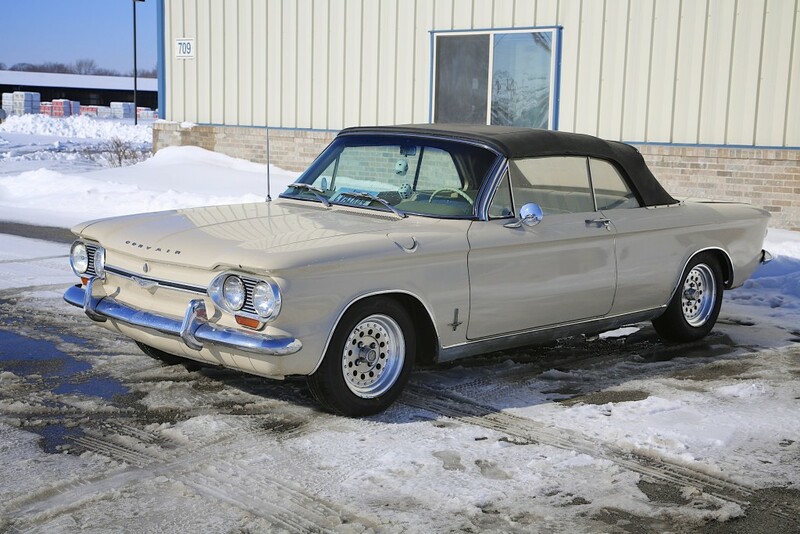 The owner is anxious to get it out and do Corvair Club events. 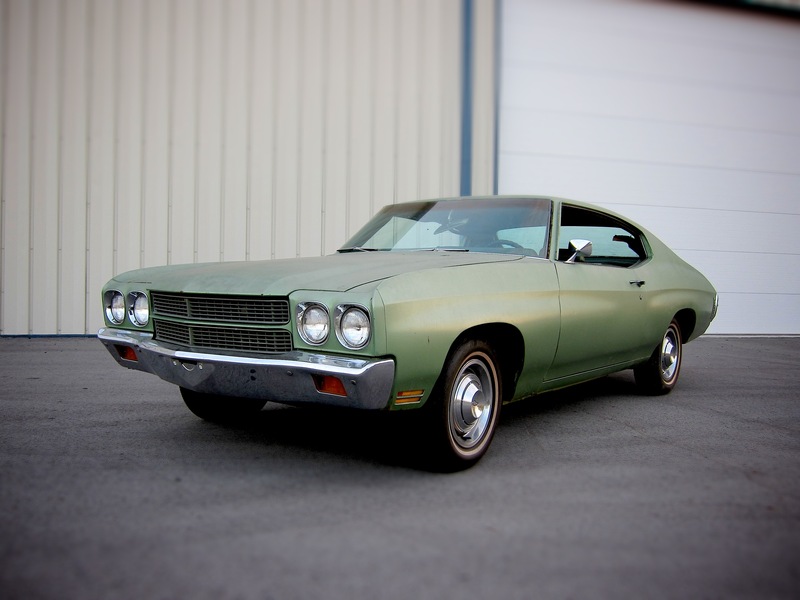 In 1970, sheetmetal revisions gave the bodies a more squared-up stance and interiors were redesigned, too.